As promised, we’re continuing to share with you details about books from Stitch Publications, now distributed by Martingale. 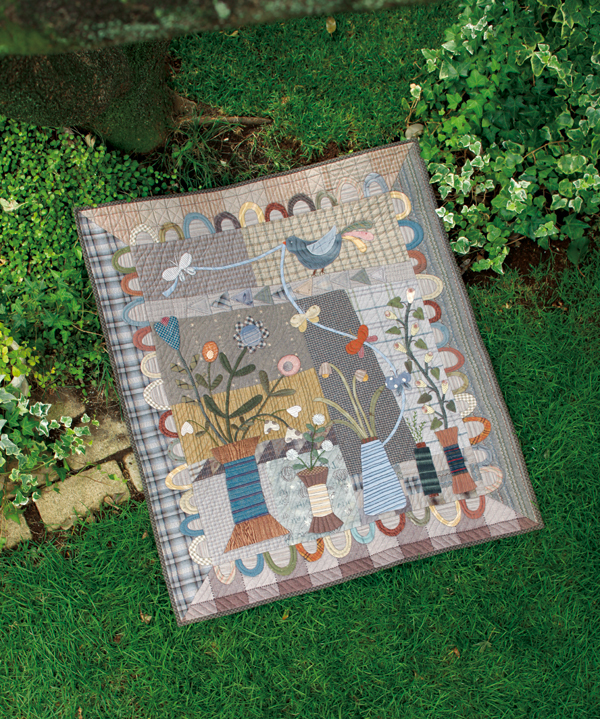 Today we’re sharing a peek into Yoko Saito’s Floral Bouquet Quilts. 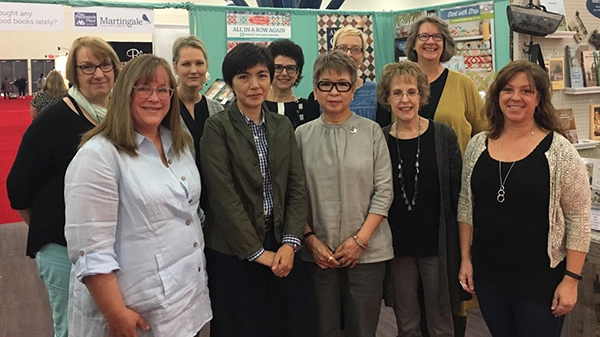 We just returned from Quilt Market in Houston, Texas, where Yoko Saito was an honored guest in our booth. We watched her demonstrate several techniques, from hand piecing (she’d give a sewing machine a run for its money in the speed department!) 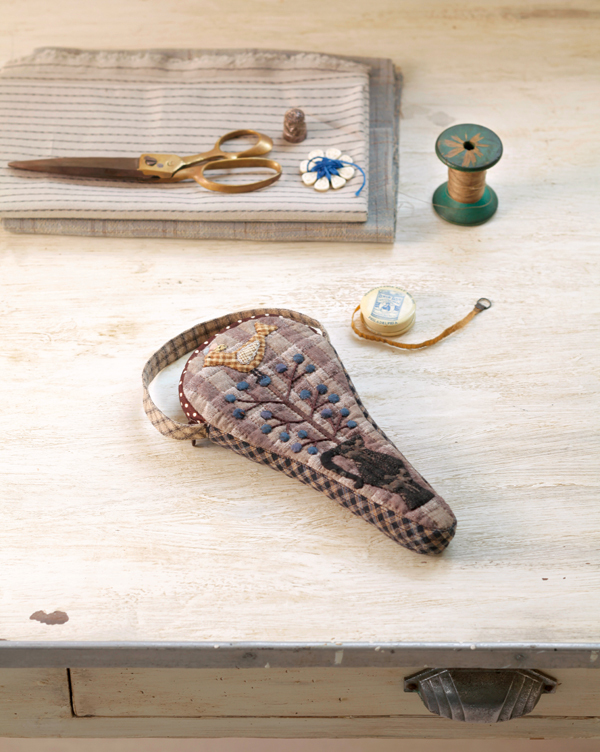 to hand-appliquéing stems that were the skinniest of skinny—only ⅛" wide! We captured her sewing demos on video and we’ll be sharing those videos in the coming weeks. Be sure to subscribe to our blog so you don’t miss them! Yoko Saito in the Martingale booth! Back row, from left: Karen Soltys, Amelia Johanson, Wendy Jacobson, Jenny Wilding Cardon, Karen Johnson. Front row, from left: Jennifer Keltner, Satomi Funamoto (Yoko Saito’s assistant), Yoko Saito, Sheila Markewicz, and Priscilla Knoble (translator of Yoko Saito’s books and owner of Stitch Publications). Here’s a closer look at Yoko Saito’s Floral Bouquet Quilts. 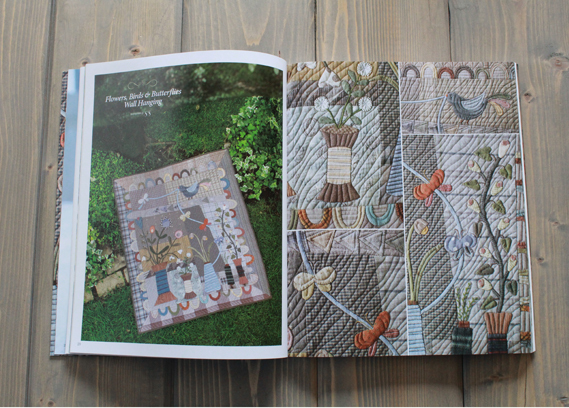 In this book dedicated to flowers, gorgeous location photos are paired with lavish, detailed shots that reveal every fabric choice, appliqué stitch, and quilted detail that Yoko Saito makes. 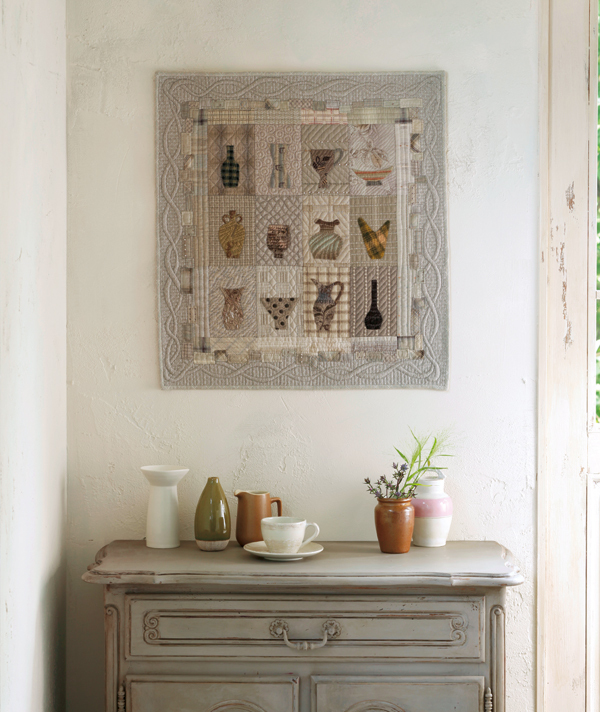 Twenty-nine step-by-step projects range from practical pouches and bags to magnificent wall quilts. In the book, Ms. Saito also shares her three-dimensional technique for making flower petals. 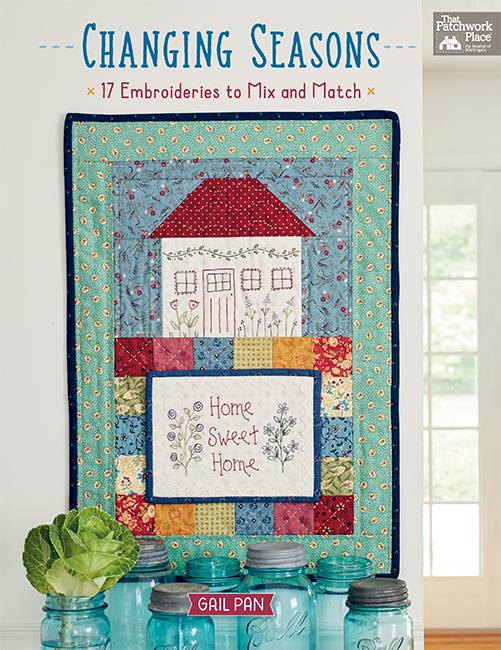 How fun would it be to build your appliqué skills while making this beautiful quilt, filling each vase with flowers of your choice from the book? 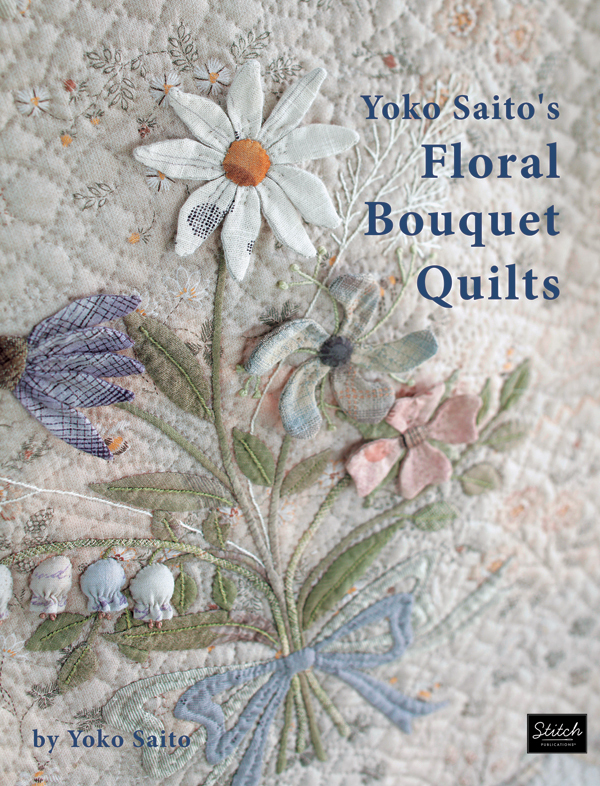 Order your copy of Yoko Saito’s Floral Bouquet Quilts at our website, ShopMartingale.com. 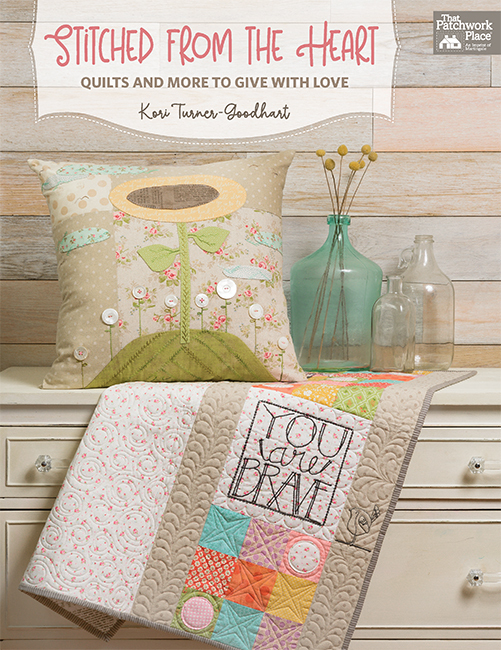 See more books from Stitch Publications here. 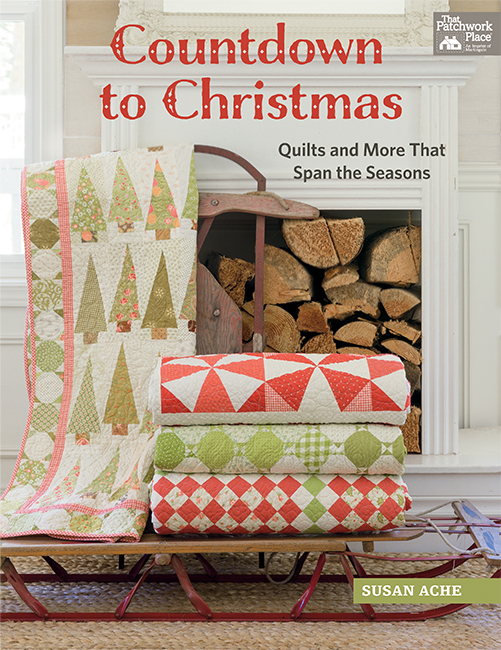 We look forward to sharing more sneak peeks of Stitch Publications books with you in the coming weeks! How do you typically add flowers to your quilts? I machine piece my flowers—it’s quick, easy, and pretty. I machine appliqué my flowers—I like adding curves and little details. I hand appliqué my flowers—for me, appliqué is a thoughtful and meditative process. Tell us how you grow your fabric flowers in the comments! sorry, the traditional way—with seeds, dirt, water and sunshine! I hand applique my flowers on my quilts. I also embroider accents and details. What a wonderful book! I pretty much do just hand applique. It gives me a focus and settles my day. I hand applique my flowers I find it a really restful and fulfilling activity. Always by hand. So personal to add some hand stitching and embroidery to each quilt I gift! Plus it’s relaxing and something I can do quietly as I wind down in the evenings after work. I’ve always hand appliqued mine, I think they look so much better. I have done hand applique and machine applique, it just depends on the project. Machine appliqué, 3 dimensional, thread paint. I usually embroider the flowers but will also hand appliqué with embroidered accents. I like leaves more than flowers and prefer hand appliqué but will do whatever works. 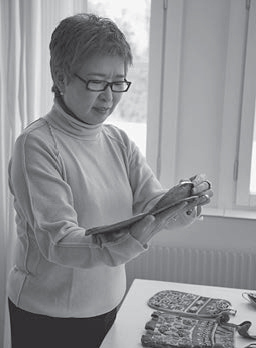 I always do my applique by hand…it is very restorative for me. if I’m looking for a faster version, i will use wool instead of fabric. 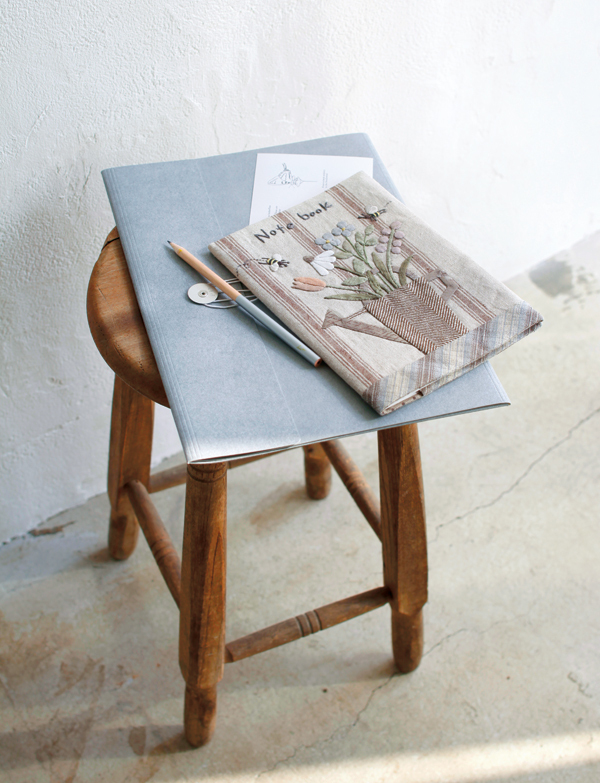 Love Ms. Saito’s work. It depends on the quilt and sometimes the deadline. So I use both hand and machine applique. I do prefer the relaxing mood of hand stitching. I machine applique my flowers or they would never get done and I love flowers on quilts. Yoko Saito is a master of making flowers look real. She is a master with needle and thread. I love to hand applique flowers and leaves and stems but I do machine applique for quilts for children that will get a lot of wear and tear and machine washing. I love to hand appliqué and I’ve been a fan of Yoko Saito for years. I enjoy hand appliqueing flowers to my quilts. I can’t wait to get this Yoko Saito book. I have many of her books they are beautiful. I needleturn applique with embroidered embellishment. It brings me peace. I hand applique because I find machine applique very stressful and the results not as satisfying. I’ve never done any embellishment on a quilt … yet. Hand applique – it’s therapy!! Hand applique is the only way for me. I have done all three. Machine piecing is my favorite, but I also paper piece by hand. Pre-making fabric flowers as units is my preferred way of applique. 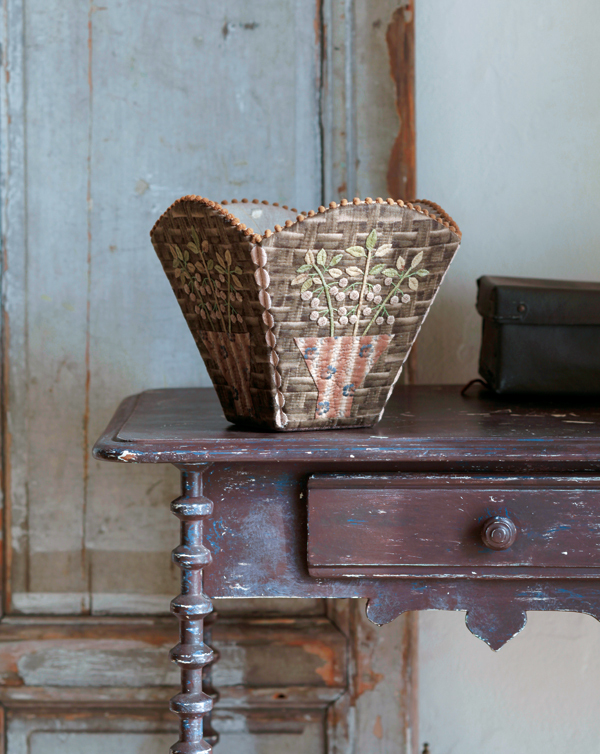 This way I just go to my box of flowers in order to choose the correct one for my use. If the right color is unavailable I consider making a new just-right flower. I love hand-work. It enables me to be with family while creating at the same time. I mostly do crocheted flowers and yo yo flowers and hand applique them. This is such a fun blog hop. So much inspiration. I’m in love with that red and cream quilt, in this post. Gorgeous design and fabric colors. Had been thinking about making a red/white quilt, but the colors in the quilt you shared would work so much better in my home. I love all the chapters in this new RbR book, but lean to think the first project will come from Classic Patchwork chapters. I love hand appliqué but only do it for special Quilts. For charity Quilts I machine appliqué, faster.I am amazed at the beautiful artwork that Yoko does. Would love her book!